If you're looking for a great tool that can help in the hunt for that perfect palette! 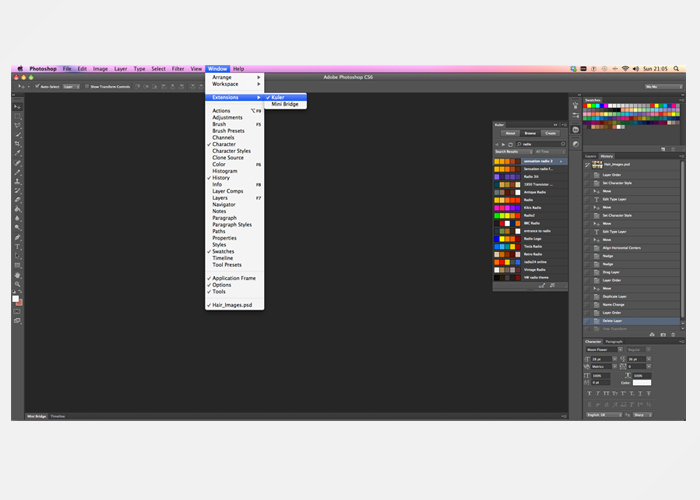 Then check out Adobe Kuler, which is colour resource that i've been using for years. Kuler is a cloud-based application that helps you find colour inspiration anywhere. You can find colour themes using an iPhone or your web browser. You can create and share your own combinations of colours, browse through community themes, sync themes directly to your Adobe software (Kuler Extension) and immediately use them in your designs. There are two ways to create Kuler colour themes on the iPhone: using the colour wheel, and using the camera. The colour wheel is exactly the same as the redesigned colour wheel on Kuler’s website — you drag small circles around the wheel to create millions of colour themes. You also have the standard rules at your disposal (analogous, monochromatic, triad, complementary, etc.) to generate a multi-colour palette using your chosen colour as a starting point. You also have the ability to change hex values for one or all of the colours in your theme. What’s your favourite colour resource?